filosofikopi.com - Coffee has many benefits that it is not a secret anymore. Many processed products on the market and proven to sell well and this indicates that the community is interested either with the benefits or taste of the product. Usually these products utilize from the new coffee beans and processed into various products such as coffee powder, san others. 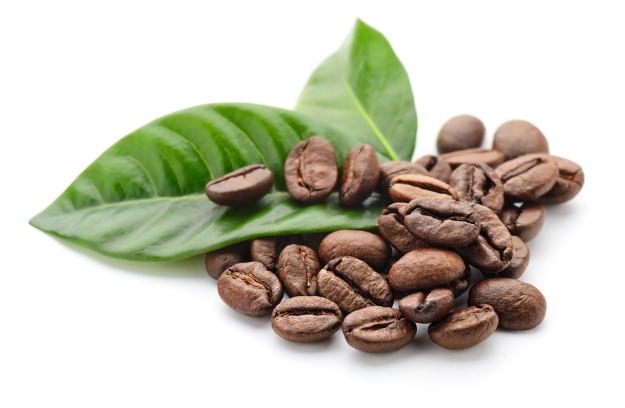 However, did you know if coffee leaves also have many benefits, especially for health. So what are the benefits of the coffee leaves? Before discussing the benefits of coffee leaves, roughly have you all seen the coffee tree? Maybe there are some of you who may not know the name of the coffee tree. If you are curious about the coffee tree, you can go to the coffee garden that may be around you because it is very unfortunate if you often use it but you do not know the coffee tree. Well, just on the chance akali admin will provide info about the benefits of coffee leaves. If you are interested, please refer to the following description. The benefits of coffee leaves is very good for those of you who have hypertension or high blood pressure because with 20 pieces of young coffee leaves you can use as your disease therapy. The way you can do it by boiling the coffee leaves along with sugar, wait for the color of the solution to turn into a bit reddish. Drink while warm or you can do by directly eating 10 pieces of coffee leaves. Benefits of this coffee leaves you can do by making water seduha coffee leaves with ginger so that this herb can also give a double effect because in addition to good respiratory tract can also warm your body. As with coffee, the benefits of coffee leaves can increase stamina. This may also be influenced from its content that is not much different from koopi seeds. For those of you who often work overtime or busy with activities, you can use coffee leaves as an alternative option to improve your stamina. Well, that's some of the benefits of coffee leaves especially for your health. Hopefully useful and can be your reference material.